We are not responsible for the odds available on the website. All bets placed on BetBTC are user vs user this means that when you see odds available on our platform they belong to other user's bets (unmatched bets). Europa League tonight with some good odds! I have another question, this time on withdraw. We are studying the best way and will eventually soon process smaller amounts instantly. Are you a developer? 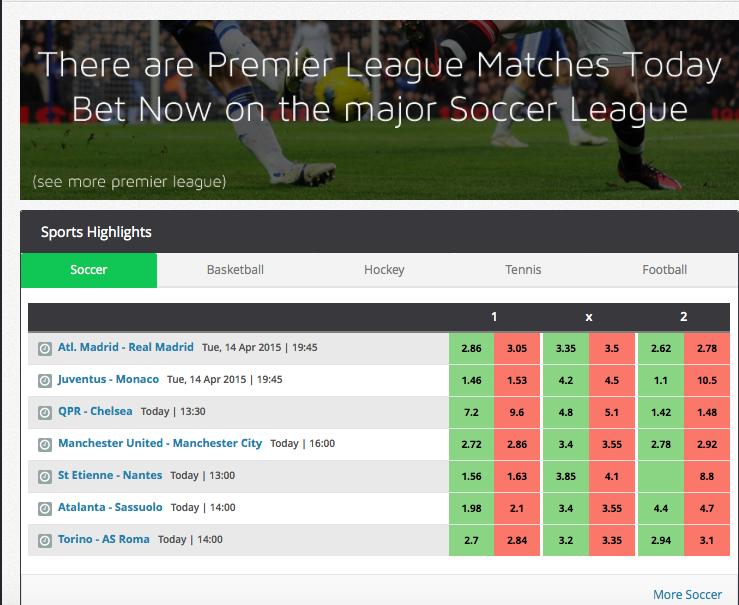 Want to Bet via API? I really like the website, it has a nice layout and I particularly like the fact that you can track ANYTHING that's happening with your account's funds. Haven't found any negatives about the site yet . If you could extend your offer to more games that would be awesome, you should also focus on giving as much live events as possible. I love the site but the site doesn't love me. I just cannot win with you. I hold my own everywhere else. From what I understood, you would like to be able to check the live-scores from the homepage, right? About the offer provided, in fact we have even removed some smaller leagues during the last days since the volumes traded there were inexistent or very small. Yes, thats what i wanted, and i cant believe i missed this, guess i was too sleepy -.- thanks for pointing that out. Your answer was not clear. I think we can assume "market" means sport but I think you should define that better as well (in case you actually count different soccer leagues (for example) as different markets. You also need to define the period over which gross winnings are calculated and commissions are charged. Is this weekly? Monthly? Or is some other time period used. I'm fairly certain "market" here refers to an event like a single match; so it's actually just like Betfair. I do agree though the way this information is presented is really bad. You can't find the simple commission percent (which is 4, by the way) on the site, and you have to go their zendesk link to see the FAQ, which is littered with unclear info and grammatical errors. Your question is very pertinent and I can assure you that we will update the wiki ASAP with more corrected and simplified information. Direct replying to your question, a BetBTC market is not the event itself as you sugested but "where are you betting on an event". I feel that this sportsbetting exchange does not have many choices. There is only 1X2 odds and no other choices for betting. There are also three different over/unders goal total markets each game. When we have more liquidity and users it may make some logic to open more markets. For now we need to keep the liquidity on the core markets. your site at this time ? Thank you very much !